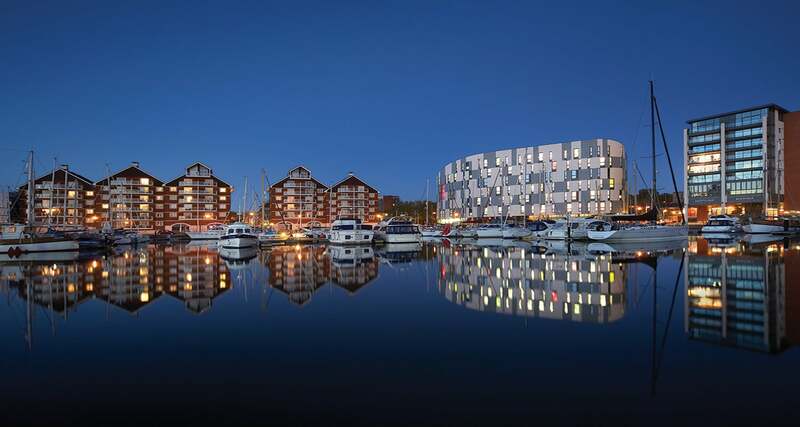 Ipswich is believed to be one of the oldest towns in the whole of England, so it probably doesn’t come as that much of a surprise that it is apparently bursting at the seams with ghosts! Everywhere you turn you will happen upon buildings steeped in history. There are believed to have been settlements here since Roman times although the town did not begin to gain prominence until the 7th century. However, what we are most interested in is which parts of that history contribute to the appearance of the Ipswich ghosts, so let’s check out some of the most haunted spots! In Ipswich’s Eagle Street, there is one double shopfront which has been the focus of poltergeist activity since the 1930s! The property was initially a family based restaurant, but the owners left after just a few months thanks to poltergeist activity including cutlery and plates regularly being thrown around the restaurant! The next people to take over the shop had heard about its spooky reputation and called in someone to perform an exorcism on the building as a precaution. However, this did nothing to quiet the restless spirit and they too were forced to shut up shop because of the Poltergeist! In time, another cafe opened in the building, this time run by a family from London. They didn’t last too long either – shortly after opening one of the tables in the cafe moved across the floor of the shop on its own. As you might expect, this scared the customers who were in the cafe at the time! There are also reports of a flat above one of the Eagle Street shops being haunted and the owners finding an unknown powder on their floors. However, it is not clear whether or not this flat is above the shop that has been experiencing all of the poltergeist activity! Christchurch Mansion is another one of the most haunted places in Ipswich. The Grade I listed Tudor era mansion is now a museum which is probably best known for having an impressive collection of Constable and Gainsborough paintings. However, art is not the only collection in this old building – it has its fair share of ghosts as well! One of the most commonly sighted Ipswich ghosts is a young Edwardian lady who is seen dancing and laughing in the upper picture gallery of Christchurch Mansion. Often she is said to be accompanied by a couple of happy children as well. There is also another female spirit who is seen downstairs in the mansion. Many a visitor has been shocked when the apparition of a lady in grey suddenly appears and swishes right by them in a full length gown! 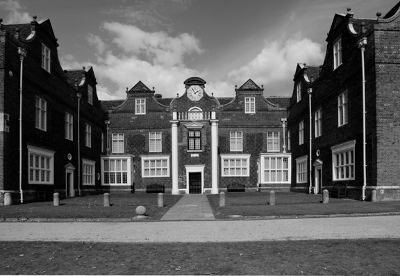 It really does seem to be all about the ladies when it comes to the spirits that are haunting Christchurch Mansion, because there are also a fairly substantial number of reports of a young servant girl haunting the property. 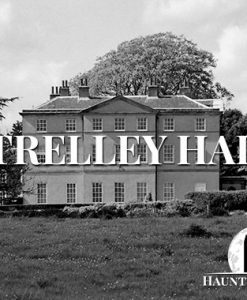 It is believed that the young lady passed away in the house under mysterious circumstances. 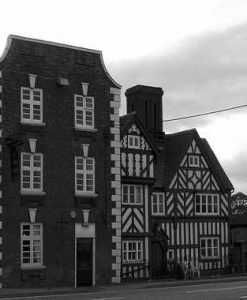 If you ask where you can find the most haunted places in Ipswich, then it is likely that you are not expecting to be told to head to the mortgage centre, and yet this is a place with some strange tales to tell! Of course, the building was not always a mortgage centre! At one time, the property on the town’s St Nicholas Street was a restaurant rather aptly named ‘Spooks’. In fact, based on the fact that the building was reported to be very haunted, the owners purposely created a paranormal themed eatery. 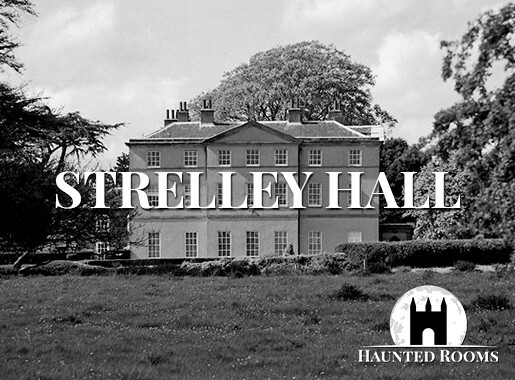 However, the very real paranormal activity may have been too much for customer – not to mention the staff that had to work there! Plenty of people – staff and patrons alike – were terrified by the sight of an apparition known as ‘Sylvia’ in the downstairs section of the restaurant. The reason people were so scared of Sylvia is that only her upper body would manifest. This particular spirit is also blamed for jamming the door of the ladies toilet shut as well, often trapping customers inside! The upper floor of the restaurant was just as scary! 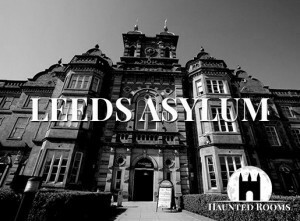 It is said to be haunted by the unhappy spirit of a depressed dwarf who is said to have hanged himself in the building. Terrified members of staff have reported seeing glasses being suspended in mid-air before being violently hurled to the ground and smashing into pieces. 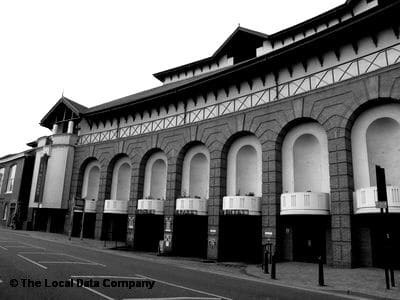 One of the most haunted places in Ipswich is The Buttermarket. There are various different ghost stories connected to the buildings here including the grey lady that is said to haunt the 15th century Sparrowes House which sits on the corner of St Stephen’s Lane and Buttermarket. If you venture a little bit further down St Stephen’s Lane, you will come across St Stephen’s Church. This also dates back to the 15th century and was actually abandoned for several years, before it was renovated and turned into the local Tourist Information Centre. The staff very quickly began to realise that they are not the only ones in the former church. Apparitions of two older ladies have been regularly spotted, usually in the are where the organ would have stood. They are thought to be the ladies who once took responsibility for the upkeep of the church and they have been given the nickname ‘The Organists’. Directly opposite the church you will find Buttermarker Shopping Center – not the first place that would usually come to mind when you think about haunted Ipswich. Nevertheless, it has its fair share of strange activity. The centre was actually built on top of an Anglo-Saxon graveyard and the foundations of the Carmelite White Priory and a number of medieval houses. It should come as no surprise then that the underground parking area is a haven for spooks and spectres! The CCTV cameras have recoded shadowy figures in the car park which cannot be explained! Before the shopping centre was built, Cowells Department Store and Cowells Printers dominated Buttermarket and both of the buildings were said to be haunted by a ghostly monk. Finally, to the rear of Buttermarket Shopping Center are the emergency exit doors which lead out onto an alleyway. Several terrified witnesses have had encounters with a phantom in this alleyway in the form of a male apparition which is said to run towards witnesses and then vanish into thin air just as he reaches them. The Woolpack is a beautiful Georgian pub which at one time was well known as a smuggler’s hangout. 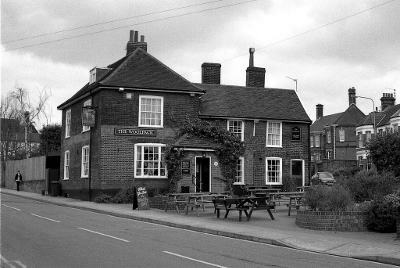 Aside from being one of the most haunted places in Ipswich, The Woolpack is also one of the most haunted pubs in the whole of the UK – maybe even in the world! There are multiple ghosts that call this place home! Perhaps the most famous ghost story coming out of The Woolpack is the story of Admiral Edward Vernon who died in 1757. He was originally a Naval Captain, but made a very controversial career move in order to become a politician. There are also a number of other spirits said to be hanging around the building include a monk, a drowned seaman and a disgruntled former owner named George! The most active of these spirits is said to be the Admiral aka ‘Grog’ as he was nicknamed based off of his legislation regarding the watering down of rum on navy vessels. As you might imagine this certainly did not go over well with the sailors and he became a hate figure for several generations of seafaring men! The Admiral’s spirit has been spotted dressed in his full 18th century Naval Officer garb. Several of The Woolpack’s regular customers laughed at the idea of a ghost haunting the pub and labelled it one big hoax. However, they soon came to regret this when they witnesses his anger. The ghost was said to have ripped a sign from the wall and hurled it to the ground in a fit of rage! Meanwhile, the persecuted monk was spotted by the chef who awoke one night to see a grey figure running past the bottom of his bed! It turns out that his bedroom was next door to a priest hole and this could very well have been the spirit of a monk who died as he attempted to escape persecution! The former owner ‘George’ is believed to have been helping to conceal the monk only to be killed for his troubles. There have also been reports of a drowned sailor who searches for ‘Mary’ and the spirit of a local man named Fred who is sometimes seen sitting in his favourite chair apparently enjoying his usual beverage!